For 55-year-old Sheryl Ison, beating breast cancer is a family tradition. With a mother and two aunts who’ve battled (and beat) the disease, this Milan resident was ready to fight when she was diagnosed with breast cancer earlier this year. 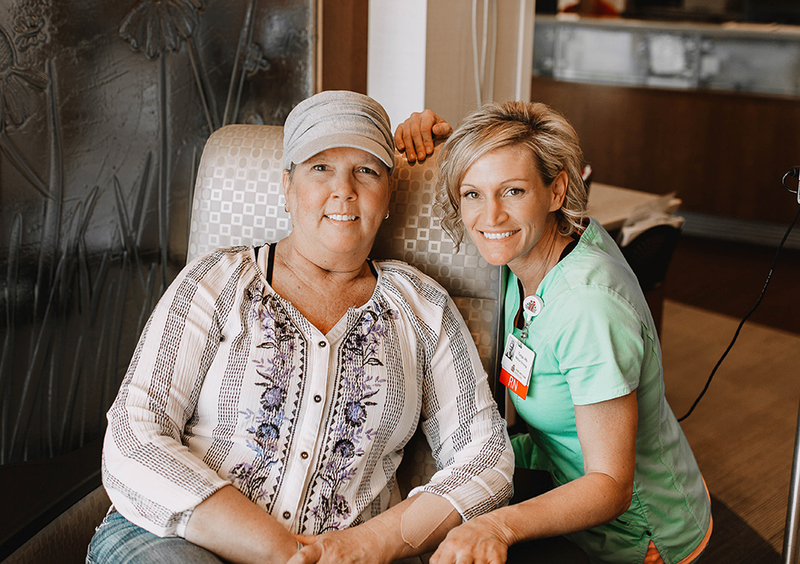 Following a mastectomy, she soon scheduled an appointment with Margaret Mary’s cancer team to devise a treatment plan that included both chemo and radiation therapy. Today, Sheryl’s prognosis is positive and she looks forward to spending many more years with her family and friends. For patients in need of radiation therapy, our recently installed technology provides the best cancer treatment available on the market today. Providing greater beam intensity to destroy cancer cells, the linear accelerator is designed to deliver the lowest dose of radiation possible to surrounding healthy tissue while allowing for better, more accurate treatment of tumors. Learn more here.